For your next corporate outing, take your employees outside for some fresh air and a little bowling with a French twist. 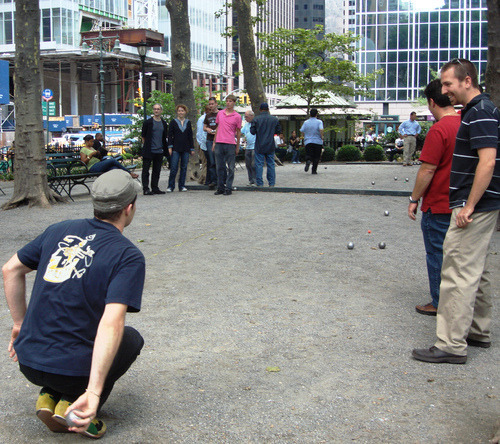 Hold your event at the Petanque court in beautiful Bryant Park. 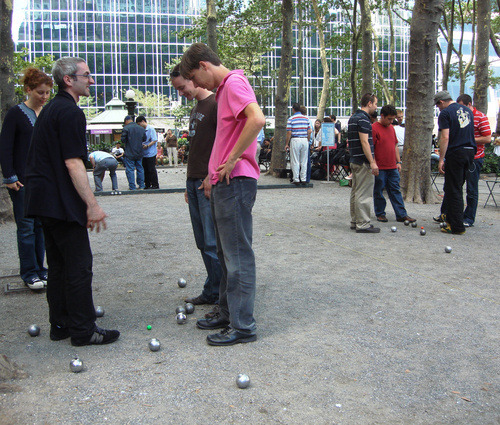 Petanque, the French game of boules, is interesting, easy to learn, and anyone can play. Set up your own intra-office tournament. It's fun, and a great way to build team spirit. Party packages include reserved space at the Petanque court, complimentary game equipment, and two expert instructors for your group. Drink packages at The Southwest Porch are a refreshing addition to any party package. For party pricing and reservations, please contact lboylan@urbanmgt.com or call 917-438-5147.